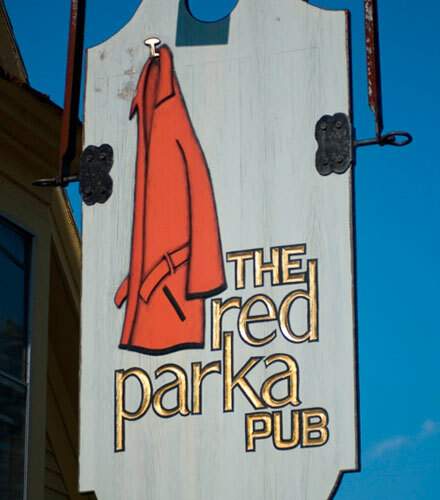 Red Parka Steakhouse & Pub “Good food & good times” has been the motto at the Red Parka for more than 40 years. Family owned and operated, we want you to feel comfortable in the knowledge that every time you return, the quality of food and service will be consistent. We are known for our hand-cut steaks, salad bar, hearty sandwiches, innovative specials, and homemade desserts. This is a family friendly restaurant yet has quiet seating for adult dining, too. And on weekends the Pub features the best live bands from all over New England. Stop in and join in the fun!